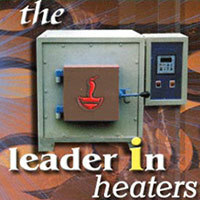 We are engaged in manufacturing industrial heaters for our clients spread across the globe. Manufactured from quality tested components, our wide product line encompasses air heater, band heater, cartridge heater, tubular heaters, coil heaters, cast aluminum heaters, leak detector systems, heat tracers, heating panels, infra red heater, heating equipment, temperature sensors, industrial thermocouples and extension cables. These are widely used in various industries such as Plastic, Chemical and Pharmaceuticals to name a few. Our clients can avail these at competitive prices.